Most small business owners are so busy running their businesses they don’t take time for marketing. And when they do, the result frequently is failure. Our feature article examines three reasons why this happens. You try to do it yourself – Follis rejects complaints from small business owners that marketing help is too expensive. He cites how Steve Jobs hired outside marketers within months of starting Apple. Qualified, affordable professionals are out there, but you have to invest some time to qualify them. You Hire Marketing Help, But It’s the Wrong Marketing Help – This one is a Catch 22: if you don’t know much about marketing how can you tell who does? Follis links to an article that shows some simple ways to qualify professional help. You Don’t Have a Realistic Definition of What Success Is – Establish in advance how you define success. Keep in mind some tasks lend themselves better to measurement than others. 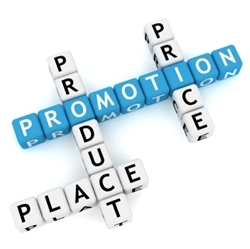 For example, it’s more difficult to quantify a re-branding effort than to determine the success of a sales promotion. This article is the final installment of a 3-part series by Follis on how to evaluate and qualify professional small business marketing help. It links to the second article, and the featured article above links to the first. Is the person a respected industry thought leader? Does he or she make it easy to work together? Is the consultant driven and truly passionate about their business? How well do they market themselves? Looking for a simple way to start using social bookmarking to increase traffic and build links to your website? Smybaloo offers a great looking, easy to use tool to get you going fast. More on Pinterest: 10 great ways to create your own images to pin (and steer clear of copyright issues discussed here two weeks ago). If you like this newsletter please forward it to a friend.